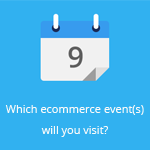 August 5, 2015 by Ecommerce News. About Funding with tags Germany, Italy, Switzerland, The Netherlands. 1258 views. B2C Europe, a Dutch company that helps ecommerce businesses to operate over its countries borders, received 7,3 million euro from NIBC. With the money the company aims to continue its growth in target countries such as Italy, Germany, Switzerland and China. CEO Rijk van Meekeren confirmed the funding to Dutch ecommerce magazine Twinkle. B2C Europe has warehouses in eleven countries and offers online retailers support with their international expansion such as with sales, customer support or logistic solutions. B2C Europe offers online retailers support when they expand over country borders in Europe. Last year it grew to countries such as Germany Italy, Switzerland but also offers support to online retailers that want to expand to China and helps Chinese companies to expand to Europe. To Twinkle the company explains that it helps a lot of Chinese companies that use Switzerland as gateway to sent low and mid valuables without VAT. B2C Europe explained to the Dutch magazine that it can confirm the funding but that it doesn’t bring new concrete expansion plans just yet and that it uses the money basically to strengthen its equity position. The company had a revenue of 40 million in 2013, growths 20% per year and aims at least 150 million revenue in 2017. More about Germany, Italy, Switzerland or The Netherlands.